Always was a tradition in the Music Wing at WLC during Christmastime...decorating all the faculty offices with garland and fattie lights, usually when the unsuspecting professors had left for the day. 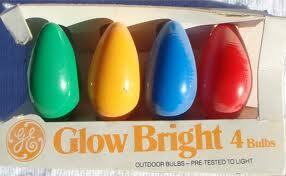 It got me thinking about the history of the fattie light...if there is such a thing. I did a long and exhaustive search, but came up relatively empty-handed except for a few pictures that are included in this post. I also found a pretty cool site on bubble lights, but that's not my focus. 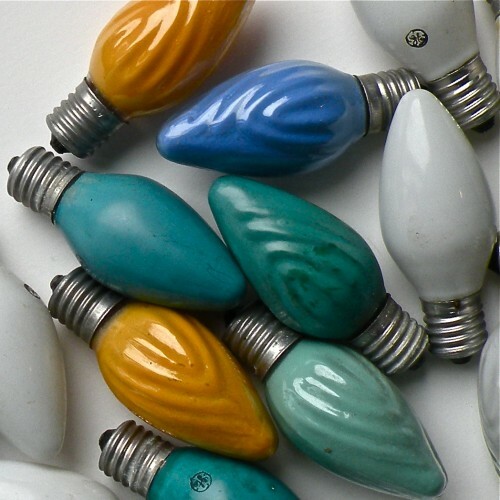 I did manage to find an official name: 5w retro vintage large bulb Christmas light. Otherwise referenced by me as a 'fattie' light.